Winter is not eternal...What if you start planning your vacation for sunny days? We recommend Ibiza! 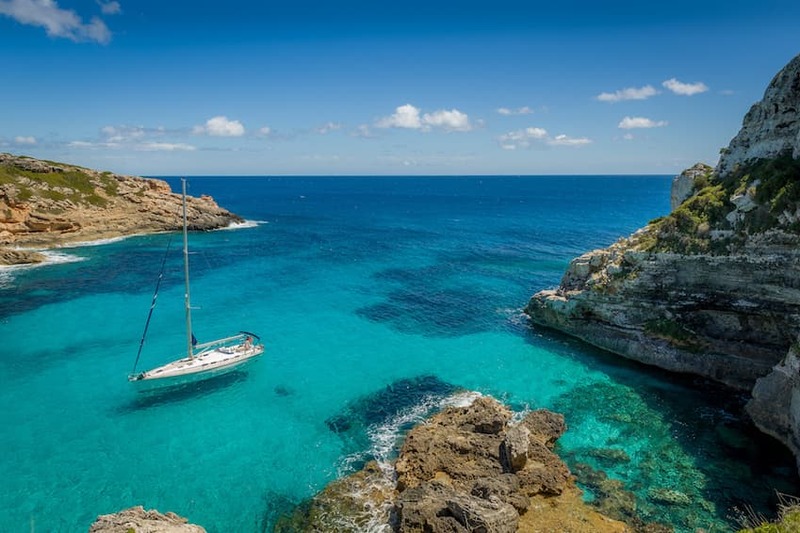 From Easter holidays until the end of summer, the Balearic Island is the perfect destination: outdoor activities, warm weather, cultural venues, quiet or festive atmosphere...the list is long when it comes to the benefits of Ibiza. With a few offices based in Ibiza, Villanovo has strengthened its expertise of the destination. Thus, our experts will provide you with personalised support from A to Z; from your home search, to your program and vacation guide, to the organisation of your private event. Our team of experts will be at your disposal to find you the houses of your dreams. Villas at the forefront of luxury, villas in the middle of the countryside, family villas, or facing the sea, our luxury property diversity will undoubtedly meet your desires! The Balearic island of Ibiza is an extremely popular destination in the summer months, with many people coming back to the island year after year for their holidays, however it has a certain understated charm around Easter. It is at this time that restaurants and beach clubs begin to open again, with the beginnings of events surfacing after the cooler winter. However, not all of them will be open every day, so it is advisable to pack a picnic and find a beautiful spot to dine outside on your beach days, hikes and cycle explorations around the island. In the Easter holidays it is indeed good enough weather to enjoy all these outdoor activities, with an average temperature of 20 degrees celsius and very little likelihood of rain! The ocean temperature’s will be a little on the fresh side, with an average of approximately 16 degrees celsius in late March, however you will see many locals in the water. The cool water makes stand-up paddle boarding particularly entertaining, and provides that added incentive to perfect that balance! As it is a much quieter season than the summer, there will also be fewer boats around whilst you’re out on the water; whether that’s on a board, swimming or snorkeling, it will be a far more tranquil experience. Cycling is also fantastic before the peak season, with less traffic on the roads and paths, and much more pleasant temperatures for traversing the Mediterranean island’s many stunning corners. Easter, of course, also hosts many religious celebrations and processions, and the streets of Ibiza Town are adorned with flowers and crosses in preparation for the festivities. Cofradias carry large ornate statues through the streets of Dalt Vila from the cathedral on Good Friday, which is a very dramatic sight. It is also a time where Easter egg hunts are organised for children to enjoy, while there are events such as themed dinners and parties for adults. It’s also a great time for wandering the vibrant stalls of Las Dalias Hippy Market, with less people to move around and less heat making for a much more pleasant bargain hunting experience! The months of April and October, before and after the busy holiday period, are a haven for those who want a sunny getaway without the crowds, and those who are not as interested in the nightlife that Ibiza is notorious for. The atmosphere is far more laid back, where you’ll never have to fight for beach space, and you can sunbathe in quiet serenity. It is bliss for anyone arriving from a country that has just had a long few months of winter. Many direct flights begin to run from Spain and other European countries around Easter, which makes the sunny escape to the island even more convenient. However, an island of diverse beauty and energy in all months of the year, Ibiza is also the ideal holiday destination for many people throughout the bustling and thriving summer. The temperature is a beautiful balmy 27 degrees celsius on average and the parties are in full swing. From late May until mid-September the island is a playground of watersports at beaches such as Playa S’Estanyol and Playa d’en Bossa, and club nights at Ibiza legends such as Pacha, Space and Amnesia. The gorgeous weather will have you seeking out all the other paradise beaches as well, and there are so many that it is difficult to choose! For snorkelling enthusiasts, Cala Xarraca is a stunning spot that also has natural mud baths to enjoy; Es Portitxol is wonderful for those that want to go on a breathtaking hike along cliff edges, coves and pine forests to reach a small secret turquoise bay; Cala d’Hort is unmissable for views of the mystical island of Es Vedra. With a selection of more than 150 villas, Villanovo regards itself as an expert in terms of the destination of Ibiza. But how to navigate around such a vast choice and know how to decide for the holiday home of your dreams? In any expertise, Villanovo offers a tailor-made service from your first point of contact with us. Our local experts based in Ibiza establish first contact with you to get to know you: what are your desires? What are your limits? What are your concerns? What are your expectations for your trip to Ibiza? Are you travelling as a couple, with your family, or with a group of friends...?These are all the questions our villa hunters ask to find you the perfect home. Once your ideal villa is found, we know that you are not yet at the end of your concerns; you have all the organisation left...Do not worry, we will take care of everything! Our concierge service in Ibiza helps you to plan your programme once there, from A to Z. It starts when you land at the airport: transfer by taxi, minibus, limousine, or rental of a vehicle, your arrival within at your villa will be done in all serenity! But what about the programme? As you can discover in the "Interview of Bettina, concierge in Marrakech: behind the scenes of a tailor-made service", our local concierges know the destination perfectly and will concoct a guide and personalised planning of the essential activities for a great programme in Ibiza. Are you travelling with your family? Our concierge will advise the best beaches for a swim in peace. Watersports enthusiasts? You will be informed of the best nautical centers of the region. If you are looking for outdoor activities, you can discover the best equestrian centers, mountain bike tours, tennis courts...Enthusiasts of Spanish gastronomy? 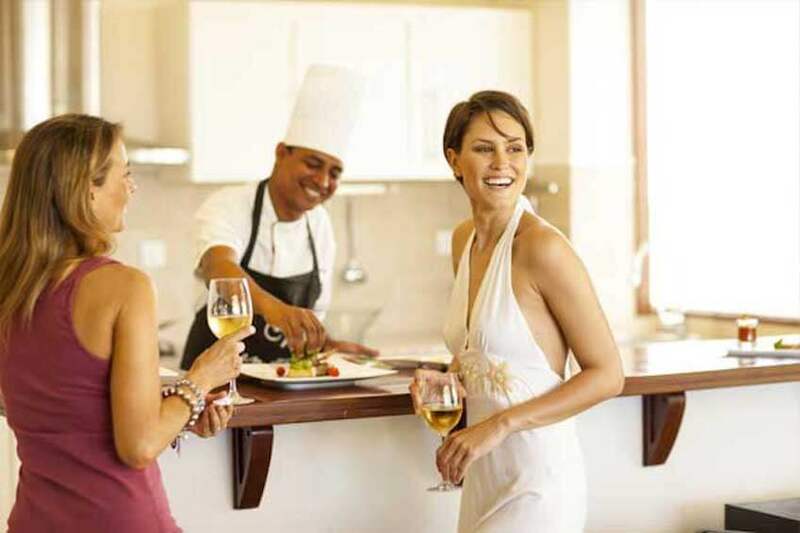 Let our concierge book you a table in one of the best local restaurants, while providing a babysitter if needed...As you can see, our concierge service is committed to building a relationship of trust to provide you with a perfect vacation. Some of our villas are even accompanied by a staff of house at your disposal to satisfy your requests during your stay. Have you chosen one of our spacious Ibiza villas for the organisation of your event? Anniversary, weddings, seminars, or family reunions, our team will get closer to the best service providers in the region to make your event unforgettable under the Balearic sun. Villanovo offers a variety of villas to meet all your needs. To make your trip unique in the world, we have thought of every detail. In town or in the countryside, for a stay with family or friends, we have the property of your dreams. We first offer you a total escape in our exclusive villas that promise you an ultimate luxury. For an unforgettable holiday, treat yourself to the best with our luxurious properties of great rarity. In San José, Villa 866 is a splendid property not to be missed. This modern house built on a plot of 30,000 m2 will offer you a dream environment for your holidays in Ibiza. In an intimate setting, enjoy breathtaking views of the sea and its surroundings while sunbathing. If you want more authenticity, head to Dalt Vila, or the historic center of Ibiza in our Villa 811. This stunning contemporary property has a penthouse and a large terrace of approximately 220m2. At the edge of your private pool, you can also enjoy breathtaking sea views. If you go with family, we have selected villas that will delight young and old. With large gardens and secure equipment, these properties will offer you a dream setting to share moments of complicity with your children. In Cala Tarida, Villa 737 is located in a quiet area without neighbours. Ideal for family holidays, this contemporary house has a fenced plot of 1200m2 where your children can have fun in peace. If you like peaceful surroundings, we suggest Villa 620. This beautiful, fully renovated traditional finca is located in the green protected area in the heart of Cala d'Hort. With its infinity pool and terrace with panoramic views, Villa 620 will make your family vacation unforgettable. Contrary to popular belief, Ibiza is not just for partying. Between its paradisiacal beaches and its luxuriant nature, the White Isle is an ideal destination for all nature lovers. To enjoy these landscapes during your stay, what better than to rent a villa overlooking the sea? In Cala Codolar, Villa 701 will offer you a dream setting. Perched on a hill, this property enjoys panoramic views of the sea and the islands of Vedra and Vedranell. If you prefer the minimalist style, choose Villa 810. Located in Cala Tarida, on a hill of pines and eucalyptus, the villa enjoys splendid views of the sea. Ideal for admiring beautiful sunsets! Want to relax? Go to the countryside! The Ibiza countryside is full of sublime natural landscapes, perfect for meditation and relaxation. In the heart of nature, stay in Villa Sa Vorera. This beautiful traditional finca is one of the oldest houses on the island. In an area of ​​12 hectares, Villa Sa Vorera will offer you all the privacy you have always dreamed of. If you want more modernity, we offer the Villa Payoa, ideally located for all those looking for tranquility. 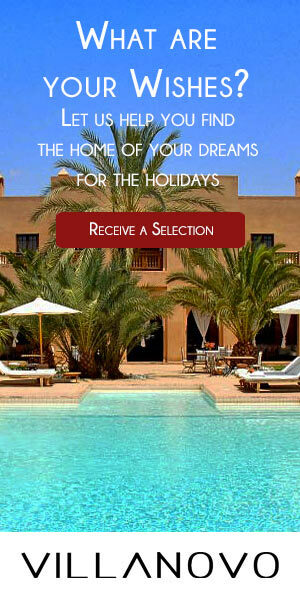 In the evening, enjoy your private heated pool in a huge plot of 15,000m2 after visiting the the sights of Ibiza.